ALEXANDRIA, VIRGINIA – June 6, 2013. 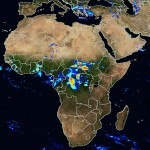 Satellite-derived products are often the only timely precipitation estimates available to support decision-making in developing regions with a limited number of on-the-ground rain gages. The International Center for Integrated Water Resources Management (ICIWaRM) (under the auspices of UNESCO), through its position as technical secretariat of UNESCO’s program for water resources of semi-arid regions, G-WADI, has taken a leadership role in efforts to make such estimates for applications to floods and droughts in developing countries. Recent developments in this area were highlighted at a series of sessions at the American Geophysical Union’s (AGU) recent Meeting of the Americas in Cancun, Mexico, May 14-17, 2013. The sessions, organized by ICIWaRM team members, were titled “Advances in Satellite Precipitation and Hydrologic Applications.” G-WADI-affiliated scientists from University of Arizona, University of California-Irvine and Princeton University chaired or co-chaired the three sessions. 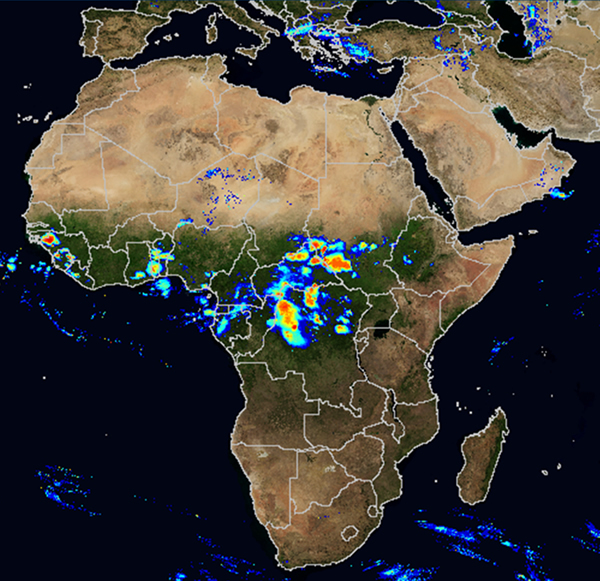 The University of Arizona’s multi-model approach was highlighted in “Evaluation of the Performance of Satellite Precipitation Products over Africa,” as was the current development of satellite-based global precipitation monitoring systems at UC Irvine. The latter has a platform for displaying precipitation estimates (G-WADI Precipitation GeoServer ) in near real-time. Applications of satellite-based precipitation measurement for monitoring recent drought events in the U.S. and heavy flood events in Thailand and Australia were covered, as well as applications to the Senegal River Basin in Africa and sites in Mexico. While scientific advancements are being made rapidly in this field, such available products that provide acceptable hydrological forecasts and monitoring to support water resources management have limitations. These limitations include error propagation from rainfall to runoff, quantifying uncertainty in the predictive models, and missed events and false hits. Participants are committed to finding pathways forward to improve water management applications.